No sports fans are more in touch with the history and ephemera of their game than baseball fans. 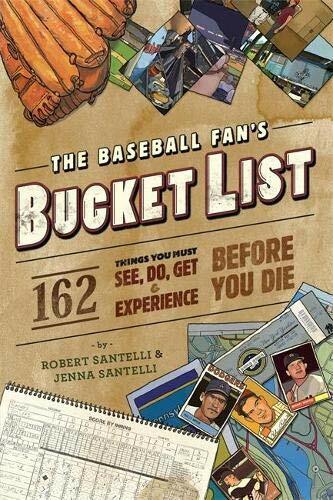 Hitting the sweet spot of our national pastime, The Baseball Fans Bucket List presents a list of 162 absolute must things to do, see, get, and experience before you kick the bucket. Entries range from visiting Elysian Fields in Hoboken, NJ (site of the first pro baseball game), to starting a baseball card collection experiencing Opening Day attending your favourite teams Fantasy Camp reading classic books like Ball Four, and much more! Each entry includes interesting facts, entertaining trivia, and practical information about the activity, item, or travel destination. Also included is a complete checklist so the reader can keep a running tally of their Bucket-List achievements. With todays tabloid stories of steroid abuse and off-the-field shenanigans encroaching on baseballs idyllic charm, this unique guidebook encourages readers to celebrate all thats good about being a fan.